I went on a trip to Dubai with Emirates a few weeks ago and it was such an amazing experience! I documented everything in 3 vlogs on my YouTube Channel (SUBSCRIBE HERE) : Part 1 (Experience flying Emirates Business Class) HERE , Part 2 (Dune Bashing, Dubai Resorts and Parks and Dessert Safari) HERE and Part 3 (Gold Souk, Dubai Creek and more) HERE. I also shared a lot of beautiful "pepper dem" photos on Instagram HERE so check it out! LOL. 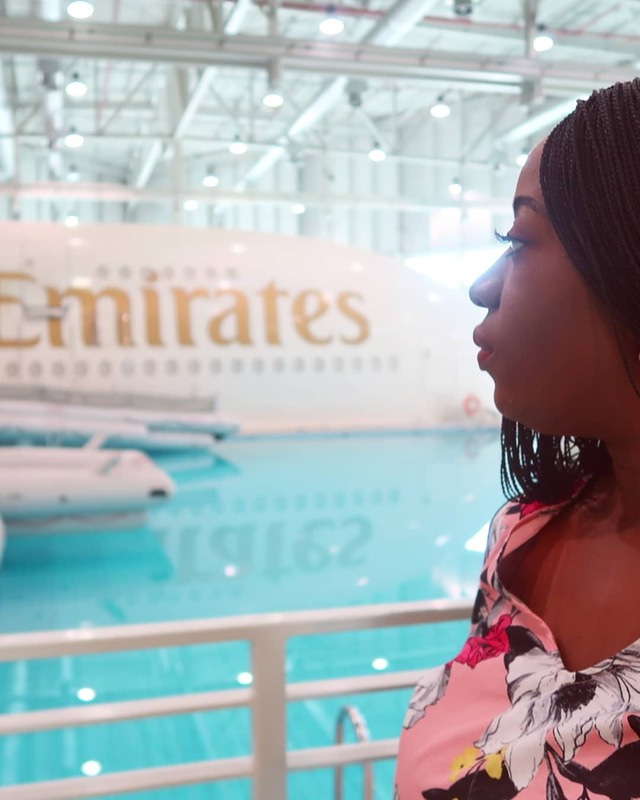 I got an opportunity to visit the Emirates Cabin Crew Training College to learn more about Emirates, I had a tour of the facitty and experienced simulations of how to act (as cabin crew) in case of an emergency (I was scared!) . 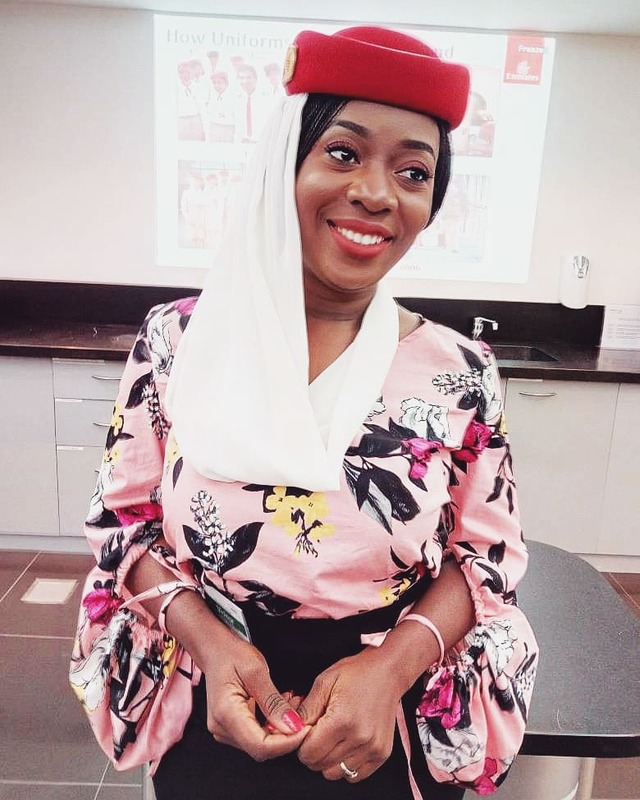 The fun bit was learning more about Emirates as a brand and dressing as an Emirates Cabin Crew in my matching red lipstick with the Emirates uniform and hair swept back. I've always admired how put together the cabin crew always look so it was a good experience from me to learn how to create the Emirates look which was not just restricted to appearance but to Gesture, Etiquette, Fitness, Skincare, Conversation, Facial Expression and more. Working with Emirates will give you endless opportunities: to meet and work with people from over 120 nationalities; to increase your skills and rapidly advance your career. 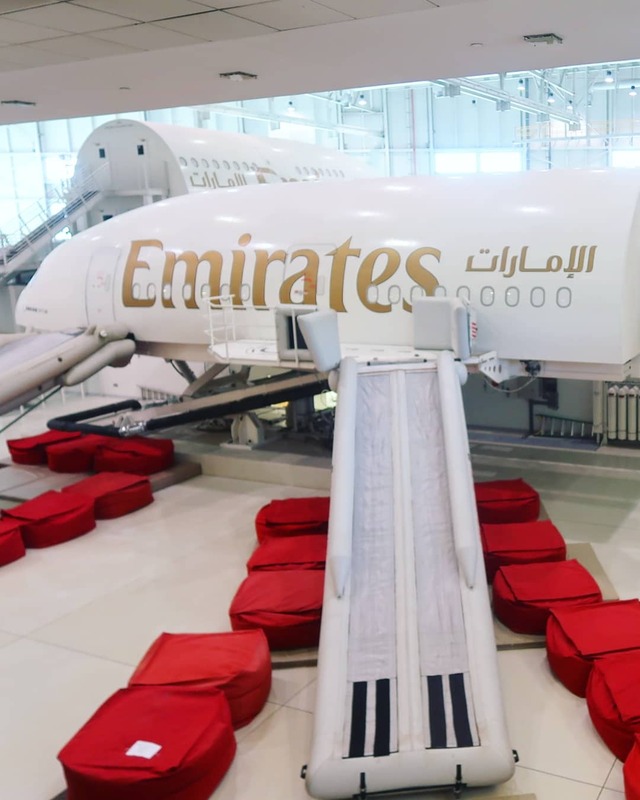 If you want to know what the requirements for working with Emirates as Cabin Crew click HERE. Emirates has Open Day coming in different parts of the world so check the dates and location closest to you. Emirates is currently hiring so click HERE to apply.